Known as the Champagne of Teas, Darjeeling tea is exquisite and unique. Considered one of the most prestigious teas around the world, not only does it delight you with different flavours and distinctive fragrances, it also brings astonishing health benefits for you and your family. This great tea is grown, produced and manufactured in the hilly areas of Darjeeling district in India, where it enjoys the perfect conditions to grow and become the finest of all teas. Most Darjeeling gardens are located at an elevation of 750-2000m in the Himalayan Mountains, receiving enough moist, intermittent rainfall and sunshine, which contribute highly to the peculiar character of Darjeeling teas. Unlike most Indian teas that originate from the large-leaved Assam plant, Camellia Sinensis var. assamica, Darjeeling tea is made from the upper leaves of the small-leaved Chinese variety Camellia Sinensis var. Sinensis. The Darjeeling adventure started in 1841 when a civil surgeon in the Indian Medical Services by the name of Dr. Campbell brought black tea seeds from China and decided to plant them in his backyard at Beechwood, in the Darjeeling region. The wonderful quality of this tea quickly caught the attention of the government, setting up tea nurseries in this area in 1847. Darjeeling quickly made it to the British market and was sold for very high prices. It had the quality and care to compete with the best Chinese teas. Nowadays, Darjeeling tea is produced in 87 tea gardens, on a total area of 17,500 hectares. The majority of the production is destined to foreign markets due to its high price and quality. This tea is exported either as a blend of leaves from many gardens and sold simply under the label of Darjeeling, or as single packets marked with the tea garden of origin, the grade and precise picking dates. Only the rarest and purest of harvests are packaged in this fashion. Being extremely cherished around the world, unfortunately, this also means that there are many fake Darjeelings out there. A clear sign that fake teas are being sold is that the annual production of only 10 million kg is greatly below the enormous amount of this fragrant tea available on the market. To avoid this, the Tea Board of India placed the Darjeeling Logo on each tea packet, meaning it contains 100% pure Darjeeling. So next time you plan to buy Darjeeling, search for the logo to make sure it is not a fake. Darjeeling tea exquisiteness is given by the different seasons in which it is harvested. Each flush offers this nutritious and healthy tea, unique characteristics that enchant tea lovers worldwide. First Flush Darjeeling (Spring tea) – This specific flush or leaf picking takes place between March and April, after the spring rains. Only delicate and young leaves are harvested, presenting a light green colour, a floral fragrance and a mild astringency. Perfect to have whenever it pleases you, but it’s indeed more suitable as an afternoon tea. Second Flush Darjeeling (Summer tea) – This flush occurs in early summer around May and June. The leaves are now fully developed, offering a full bodied taste and darker liquor when brewed. This flush is very famous among tea connoisseurs, as it offers a peculiar fruity muscatel taste, which is appreciated around the world. Third Flush Darjeeling (Autumnal tea) - These leaves are plucked between October and November and the liquor is less acid and lighter in colour. It is often compared with the first flush teas for its similarities and it is closer to black tea, offering a full bodied beverage, perfect to start your day. Withering - After plucking, the leaves are spread in a pan for 14-16 hours while hot and cold air is blown, so as to remove the moisture content and make them softer for the next step. Rolling – The leaves are then processed for 45 minutes in machines, allowing them to release natural juices and fastening the pigmentation process. Fermentation – The leaves are rolled and taken to a cool and humid room to start the fermentation process. They are spread in thin layers and worked by hand for 2-4 hours. Drying – Also known as firing, this step dries the fermented leaves. They are put in dryers with moving trays for 20-30 minutes at 200ºC-240ºC (approx. 390ºF-465ºF). Sorting – Once again, this part is made by machines that have the responsibility to separate the tea leaves according to their size and quality. This processing method is relevant for the Darjeeling black tea variety; other varieties undergo slightly different processing methods. Whole leaf: Super Fine Tippy Golden Flowery Orange Pekoe; Fine Tippy Golden Flowery Orange Pekoe, Tippy Golden Flowery Orange Pekoe; Golden Flowery Brown Orange Pekoe; Flowery Orange Pekoe. Broken leaf: Broken Orange Pekoe; Flowery Broken Orange Pekoe; Golden Broken Orange Pekoe; Broken Pekoe Souchong; Golden Flowery Broken Orange Pekoe; Broken Orange Pekoe. Fanning: Orange Fanning; Golden Orange Fanning; Tippy Golden Orange Fanning. This grade terminology helps to describe the tea leaves and their quality inside each group. Whole leaf is regarded as the group with the highest qualities. Try this wonderful tea now! 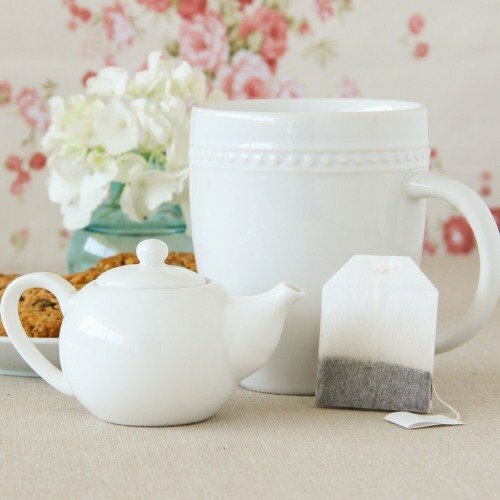 It’s time to savour your tea and enjoy its amazing health benefits. In order to do that, it’s important to learn how to brew Darjeeling tea. Let’s head to the kitchen and allow the magic to flow. Make sure you use spring water to fully experience this unique flavour and aroma. Preheat your teapot first and discard the water. Place about 2 teaspoons of loose leaf in the tea pot and pour boiling water over the leaves. Allow them to steep for 3-4 minutes and then filter the liquid into a second pot, also preheated. 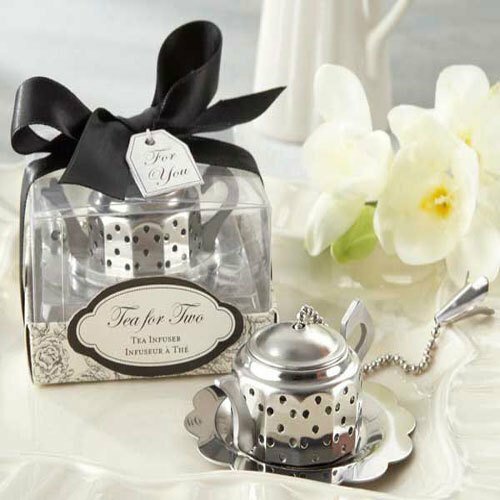 Don’t use metallic tea balls, as the tea leaves need space to expand and release their enchanting flavour. This is doubly important if you have invested in whole leaf tea. 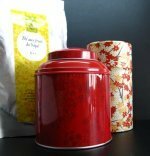 You may adjust the steeping time and quantity of loose leaf according to your taste, Darjeeling variety and flush. Here’s a tip: Drink it simple, this way you can savour its fruity taste and enjoy all the powerful health benefits. Do not sweeten or add lemon or milk to it until you have tried it this way. These instructions are best suited for Darjeeling black tea, the most common variety of this tea. Have a look and discover this and other amazing varieties of this tea and see how they can help you fight the onset of ailments and stay healthy! This tea is a healthy nutritious beverage with small amounts of vitamins and minerals. Whether you want to prevent influenza symptoms, lose body fat or increase muscle mass, Darjeeling may just be your right tea!